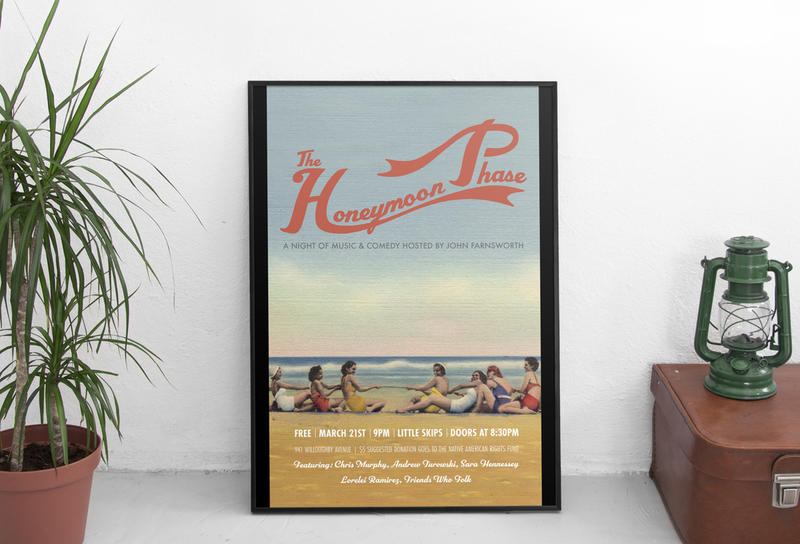 The Honeymoon Phase is a monthly variety show in NYC that I do original artwork for every time. 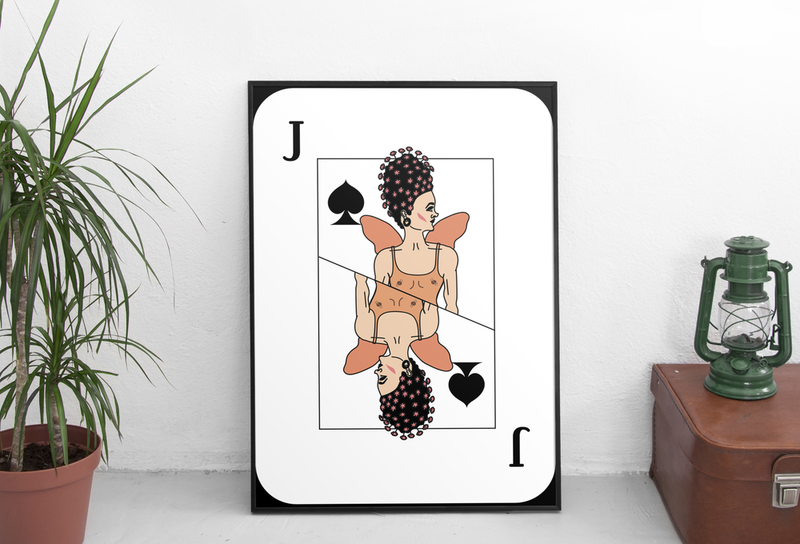 The first Honeymoon Phase postcard/ poster series was done in the style of a 1950’s postcard, where each letter contains a smaller picture inside of it and one of the words sits on a curve. I used Photoshop to brighten the photos and turn up their vibrancy. 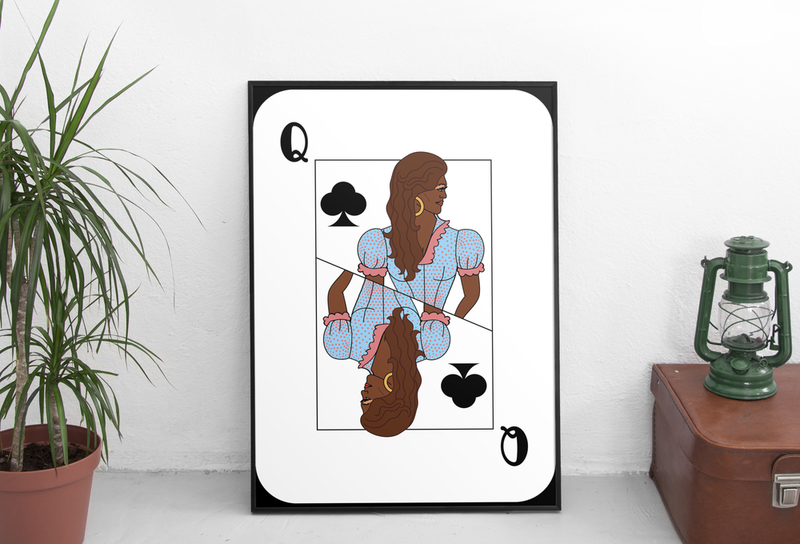 These are posters I made out of my deck of cards designs.